Blog | GmailVault – Gmail Backup! This release contains a cosmetic fix. In v1.0.1, when GmailVault started, a DOS console window opened on the desktop and stayed there. While that causes no harm, it should actually have disappeared. This is addressed in v1.0.2. With this release, we are formally in Production status and out of Beta. By and large, v1 has a few small tweaks and fixes to the v0.9.x series, which incidentally was already running quite well. With the release of v1, we also hope make releases for other platforms (Linux, Mac OS X) available soon. 2. Click the little gear icon near the top right corner, and choose Settings from the drop down menu. 3. Ensure that IMAP access is enabled. Go to Settings > Forwarding and POP / IMAP > IMAP access and enable IMAP. 4. Allow labels to be shown in IMAP. Go to Settings > Labels and tick all the check boxes on the right. GmailVault will backup email from the folders and labels that are visible in IMAP. It will also allow you to navigate your email using these folders and labels. At the very least, we recommend that you enable All Mail. 5. Optionally, allow Chats to be backed up too. Go to Settings > Chat and ensure that Chat is On and Save chat history is enabled. Now fire up GmailVault and let it start it’s back-up magic. 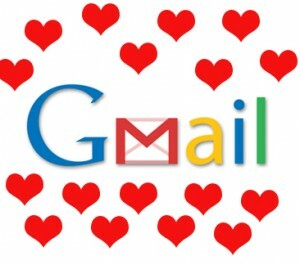 Without a doubt, Gmail is one the most popular and widely used email services across the world. Great performance, cool features and the more than generous storage make it a joy to use. However, as a result our mailboxes keep getting filled with ever-increasing amounts of email. Email that contains personal messages, vacation pictures and for a lot of us, work related stuff too. Any way you look at it, your email is valuable. All your email (including attachments) is with you. And all your chats. There is something reassuring about your data being “next” to you. You have access to all backed up email – even when you are offline. No worries about poor net connections. Browse, search, view… locally, offline – at lightning speeds. Did you inadvertently delete a mail from your Gmail account? No problems. Use GmailVault’s one-click restore to put that email back into your Gmail. Never worry about running out of space. Even if you are a super-duper email demon, with huge disk-consuming attachments, and your Gmail account is bursting at the seams… GmailVault has ALL of your email. In your Gmail account, you can safely delete some email to create space – perhaps the oldest / largest / or the ones you least care about. Save frequently used searches, navigate by folders and labels, restore and forward email. And did we mention that you get all this for free? PS: We’d love to have your feedback about GmailVault, including, but not limited to: bug reports, feature requests, constructive criticism and appreciation.